Valentine’s Day is Wednesday. That means many of us are thinking of romance this week and evaluating the love in our lives: presence, absence, and quality. As in years past, I’m celebrating the non-romantic love in my life and encouraging others who find themselves without that someone to share the evening with to do the same. To me, looking for someone just for the sake of being in a romantic relationship seems like a game. Perhaps I wouldn’t know. I’ll admit I’ve never really gone looking. I have my family for now, and my cat as well. Like previous years, I’ve sent cards and letters to some family members to let them know they are loved, and I am thinking of them. But my cup does not run over with love. I could be more loving in so many ways, even without looking for a romantic relationship. This year, I find myself wanting to strengthen the ties I have with my family and befriend new people – wanting to learn greater kindness and empathy for others. That is my love goal for 2018. You can probably tell I haven’t shot any still life/table top in over a year. I’m so out of practice. What I did shoot last year was nature. Since I didn’t blog much, I have a good sized backlog of unedited photos to work on. Easter baskets. Probably everyone who celebrated Easter as a kid got one at least once. Most are made of plastic or wicker and are about six inches in diameter. For me, however, an Easter basket is something a bit different. 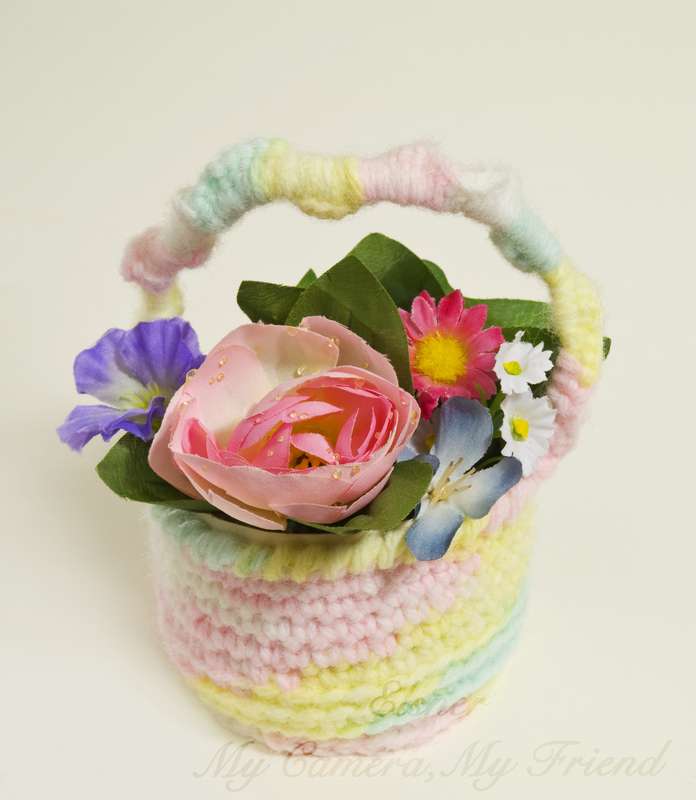 When I was little, my grandma used to make my sister and I crochet or plastic canvas Easter baskets every year. Some were quite small, others were a bit larger. One of mine doesn’t have a handle. She would fill them with Easter grass, a couple of plastic eggs, chocolate, and maybe even a small toy of some sort. As kids, we were always excited to get our baskets, mostly because we wanted to see what Grandma had made us that year. All the stuff inside was nice, but the basket itself was the big deal. Eventually, Grandma’s arthritis got bad enough that she could no longer make the Easter baskets. I still have mine, all of them. They make wonderful Easter decorations, by themselves, or trying my limited floral arranging skills, with flowers. 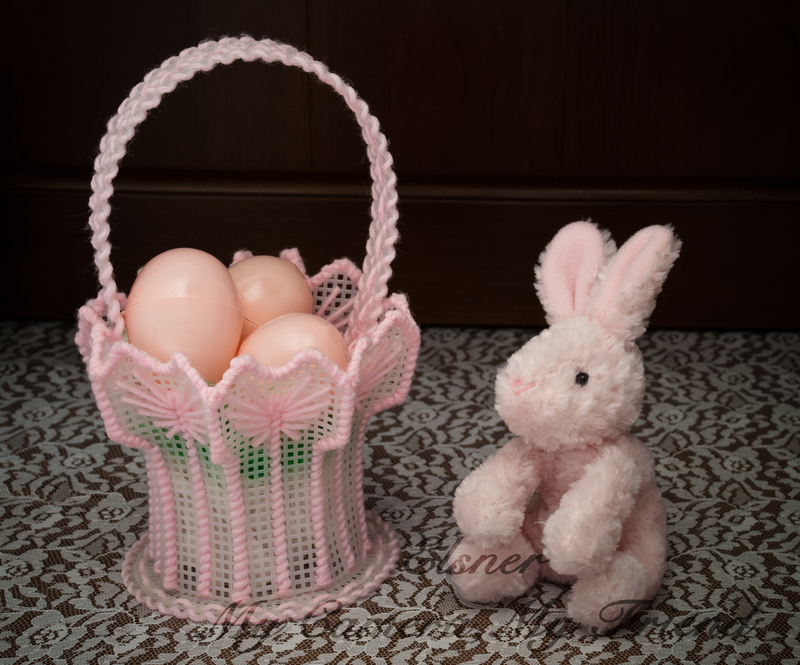 This is the last Easter basket my grandma made for me. Overall, I think it has the most elegant shape. I decided I need to practice my indoor photography skills. Creating a group portrait can be challenging, especially if you are part of the group you are trying to photograph. The hardest part? Getting the portrait scheduled was a great deal more difficult than I thought it would be. We may be a family, but we’re also four different people with our own obligations and hobbies. Finally, it came together. Not the ideal time, but I know my family. If we keep putting something off, it will never get done. This is only our third family portrait. In the first, only three of us had been born. In the second, we were caught unprepared at a company picnic. It’s a nice photograph, but we’re in our shorts and it’s five years old. Time for another family photo. Sorry kitties, we couldn’t accommodate your schedule. Catworld is beyond our comprehension. So I set up in the shade late one afternoon, varied head heights, used a little fill flash, and proceeded to direct my family and hope I looked OK darting in at the last second. Ta-da. This photograph made possible by persistence and the self-timer. Last week, I thought about photographing my first camera, but I decided an old classic would be a better choice. 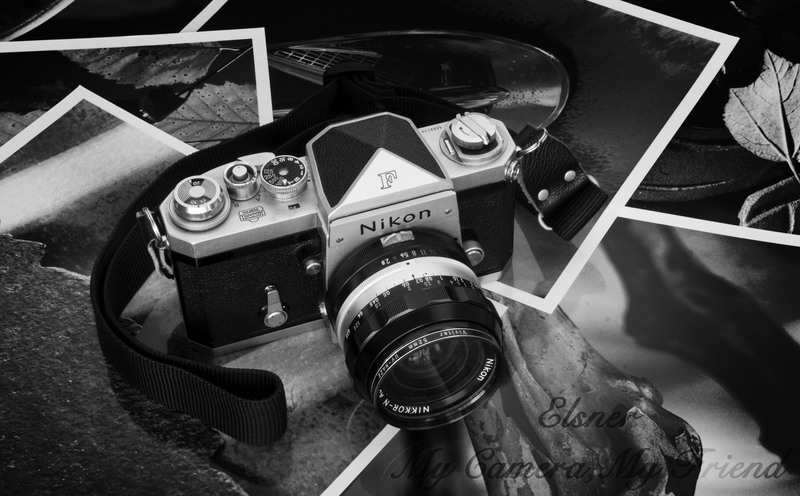 Photographing my father’s Nikon F, the first good SLR he ever owned, with my modern Nikon DSLR was a special experience. It tied together all the big happy camera/photoness in the house. 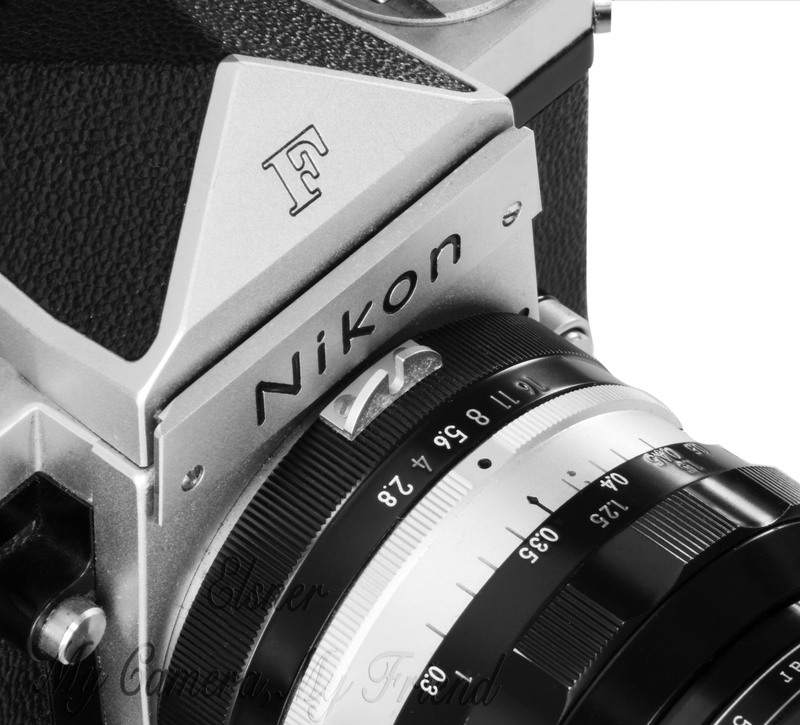 This particular Nikon F is 45 years old and is still dearly beloved by my father. It was the best of its kind back in the day, and it is now a classic camera. Naturally, my dad made me promise I’d be extra careful with it. Detail of lens and prism. To all the Canon people out there, I’m not waging Holy War. I have dear friends who are Canon people. 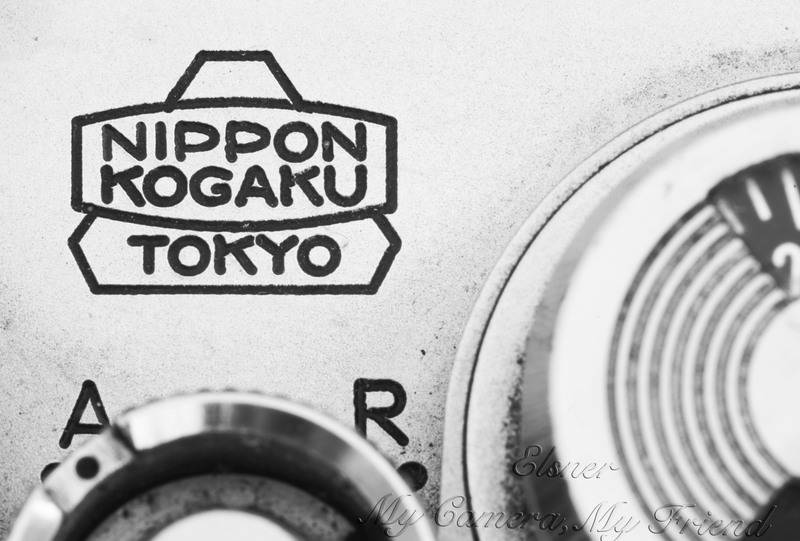 It’s just a little nostalgic Nikon person stuff. I’ll be less controversial next week. Speaking of next week, I’m thinking of braving the apparent bleakness of March in the faith that there’s something good out there. If not, I’ve heard dropping different liquids into each other is pretty amazing. 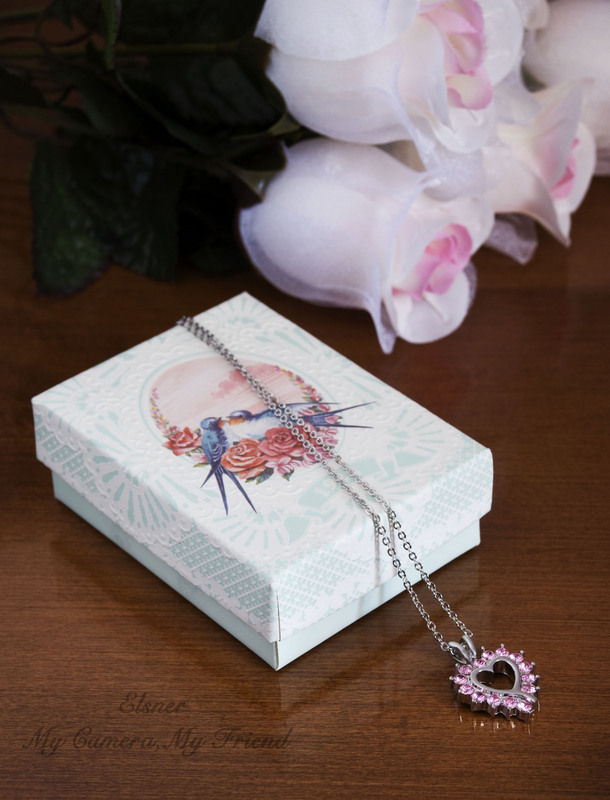 Since Valentine’s day is next week, I thought I’d use this post to show some of my ideas and feelings about love. I’ll openly admit I don’t know much of anything about romantic love, so most of my thoughts are innocent and simple. 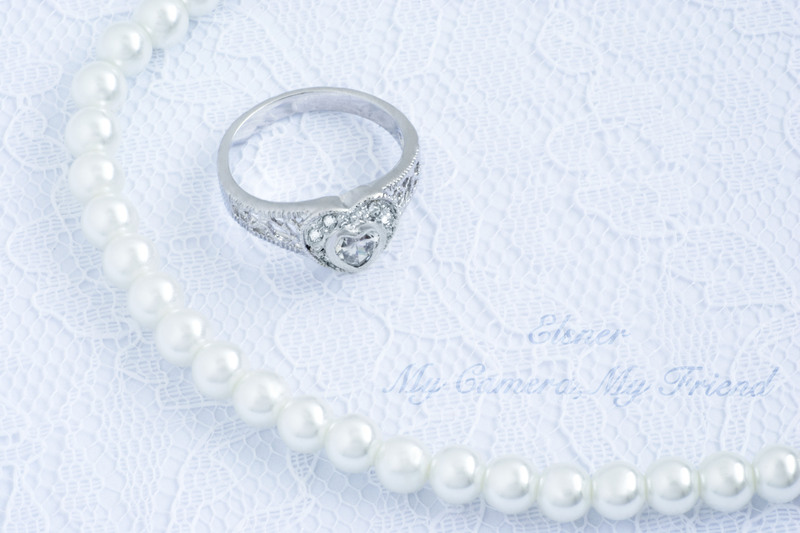 Purity, simplicity, and innocence; a love of family and friends. Blushing and awkward; the first time someone likes you, and you don't know how to feel. Deep, sincere, and lasting; love for what really matters. Being a bit tired of jewelry, I’ve decided to do some more abstract black and white next week. This may or may not include snow shots. It will be digital, and I’ll probably tint a lot of them. Hold on to your hat, next week’s gonna be different.